Tom Flynn is an accomplished sales professional, starting his career in the New York City advertising sales community. His experience in large international publishing and Internet companies, as well as small start-ups, required that he maintain a high energy level, establish and achieve realistic goals, and constantly re-prioritize tactics. He created solid business relationships by being honest, creative, and timely in delivering on his tasks. Real estate sales as a second career was a natural transition, using many of his qualities to generate new contacts, build relationships, and gain referrals from satisfied customers. He knows the value of real estate market knowledge, keeping abreast of developing market trends, and communicating relevant details to clients on a timely basis. Mr. Flynn holds a Bachelor of Science degree in Marketing from Fairleigh Dickinson University, and started on his Masters of Business Administration from Fordham University. He also completed a special management course at the University of Virginia’s Darden School of Business. 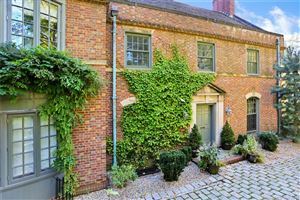 In his transition to real estate sales, he completed the Appraisal & Real Estate School, and is licensed to conduct real estate transactions in Connecticut and New York. Marketing and selling for Down-sizers/Empty-nesters, First–time home buyers, and those purchasing condos/co-ops, renters, investors. Represents buyers, sellers, investors and renters in all areas of Greenwich from the shoreline to the back country, including Greenwich, Cos Cob, Riverside, Old Greenwich, King Merritt. Also serving Stamford, Darien, Westport, Norwalk, Fairfield, New Canaan. And in New York, Port Chester, Rye, Rye Brook, White Plains. Tom has worked with top tier publishing groups – his roles included national sales, key accounts manager, sales manager and advertising director, managing advertising sales and operations teams. Early in his career, he built effective business relationships for divisions of large media companies such as The Economist Group, The McGraw-Hill Companies, Yahoo!, CMGI, The Nielsen Companies and Conde Nast. With this great experience, he became more entrepreneurial and wanted to use his experience with greater freedom, so he helped start or develop small startups selling sponsorships at Branded Tray and Hotbox Sports, and media sales research subscriptions with AdNation News. This was the period where it was critical to be results-oriented, especially in new business development, marketing services and customer service. Tom grew up in New York City, and attended Xavier High School in Manhattan. He moved to New Jersey for college studies, and has been a resident of Connecticut for the past 20 years. He enjoys squash, sailing, cycling, tennis, paddle tennis, skiing, and especially, spending time at the beach. 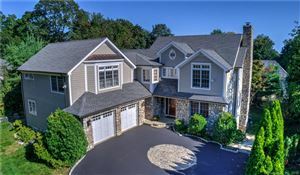 Connecticut listings last updated Apr 18, 2019 9:03:pm.